Read Johnny's review of The Front Runner. 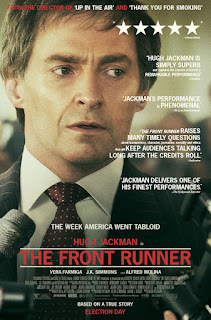 Oscar® nominee Hugh Jackman stars as the charismatic politician Gary Hart for Academy Award®-nominated director Jason Reitman in the new thrilling drama The Front Runner. The film follows the rise and fall of Senator Hart, who captured the imagination of young voters and was considered the overwhelming front runner for the 1988 Democratic presidential nomination when his campaign was sidelined by the story of an extramarital relationship with Donna Rice. As tabloid journalism and political journalism merged for the first time, Senator Hart was forced to drop out of the race – events that left a profound and lasting impact on American politics and the world stage. The Front Runner is in theaters on November 21st, 2018. 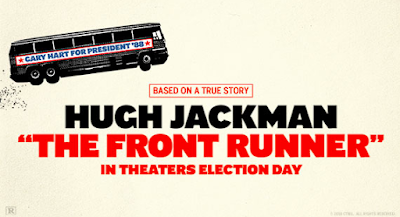 The Front Runner covers the former Colorado senator’s journey to becoming the front runner for the democratic nomination in 1987. Hugh Jackman plays Gary Hart and does a great job of portraying his charisma and idealism. Hart ignited young voters giving him a clear path to the white house. The film takes place within a three week time period. What starts off as a normal political journey eventually comes crashing down. Tom Fielder (Steve Zissis) a reporter from the Miami Herald follows up on rumors that Hart is taking part in an extramarital affair. From here on we get many well-acted tense moments between characters. Hart states that his private life is not the public’s business. In fact he believes it has no place in politics. This campaign pushed politics into a new age of sensationalism and gossip. We see Harts wife Lee played by Vera Farmiga create a character you cannot help but sympathize with. In the film she says she asked Hart to do one thing, and that was not to embarrass her. For anyone that has ever been betrayed by a loved one this hits deep. The film struggles with accountability and shows voters what types of traits they should consider when electing the next president. With the most recent election we see how gossip and tabloids have been able to shape the way we view politicians. Although the film suffers from long moments it gives a Jackman a chance to play a more serious role. For those of you that know how the story ends it isn’t that shocking. However watching without any context you may think that there had to be another way out of Harts situation. Politicians have been plagued with worse scandals and won. 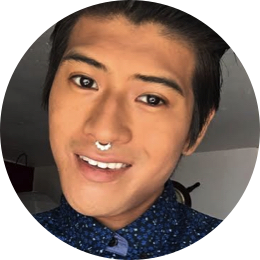 Johnny (Senior Contributor) was born and raised in San Diego. He's been a fan of films the majority of his life. He enjoys the feeling it invokes and the power it has to take you to another place. Click Here to check out Johnny's Articles.